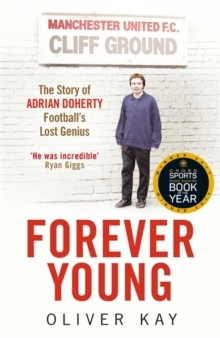 WINNER OF THE FOOTBALL BOOK OF THE YEAR AT THE BRITISH SPORTS BOOK AWARDSSHORTLISTED FOR THE 2016 WILLIAM HILL SPORTS BOOK OF THE YEAR'This football book is about something even more important than the "beautiful game"; it is a story of the human spirit.' - Mick Hume, The Times Adrian Doherty was not a typical footballer. For one thing, he was blessed with extraordinary talent. Those who played alongside and watched him in the Manchester United youth team in the early 1990s insist he was as good as Ryan Giggs - possibly even better. Giggs, who played on the opposite wing, says he is inclined to agree. 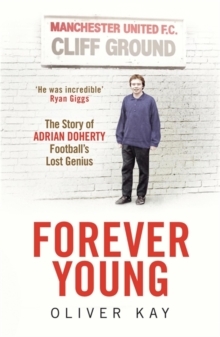 Doherty was also an eccentric - by football standards, at least. When his colleagues went to Old Trafford to watch the first team on Saturday afternoons, he preferred to take the bus into Manchester to go busking. He wore second-hand clothes, worshipped Bob Dylan, read about theology and French existentialism and wrote songs and poems. One team-mate says "it was like having Bob Dylan in a No 7 shirt". On his 17th birthday, Doherty was offered a five-year contract - unprecedented for a United youngster at that time - and told by Alex Ferguson that he was destined for stardom. But what followed over the next decade is a tale so mysterious, so shocking, so unusual, so amusing but ultimately so tragic, that you are left wondering how on earth it has been untold for so long. The stories of Doherty's contemporaries, that group of Manchester United youngsters who became known as the "Class of '92", are well known. Giggs ended up as the most decorated player in United's history; David Beckham became the most recognisable footballer on the planet; Gary Neville, Paul Scholes and others are household names. The story you don't know is about the player who, having had the world at his feet, died the day before his 27th birthday following an accident in a canal in Holland.